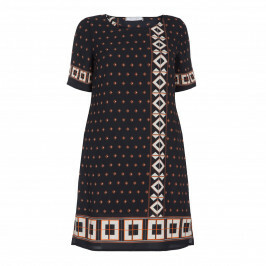 Quite simply a perfectly proportioned tunic by Italian designer Elena Miro, with an on trend tile print in a classic palette of blacks and browns. Made from a light chiffon - it's long on length with a generous half sleeve. 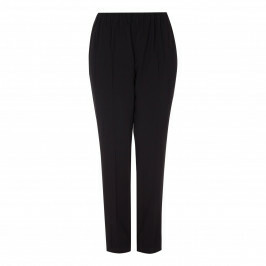 Team with classic black trousers and channel eternal Italian chic. Print black long tunic 3/4 sleeve. 100% viscose. Hand wash or dry clean. Do not tumble dry.